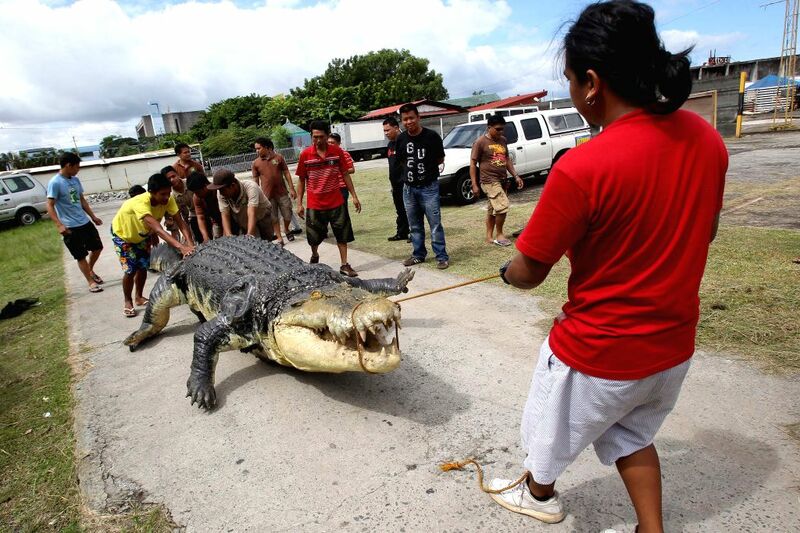 PASAY CITY, July 5, 2014 - Workers pull "Longlong", a 21-foot robot crocodile from a truck at the Crocodile Park in Pasay City, the Philippines, July 5, 2014. The robot crocodile, costing around 80,000 pesos, or 1,818 U.S. dollars, is inspired by a giant saltwater crocodile, the longest crocodile on the earth, which died while in captivity in southern Philippines in 2013. 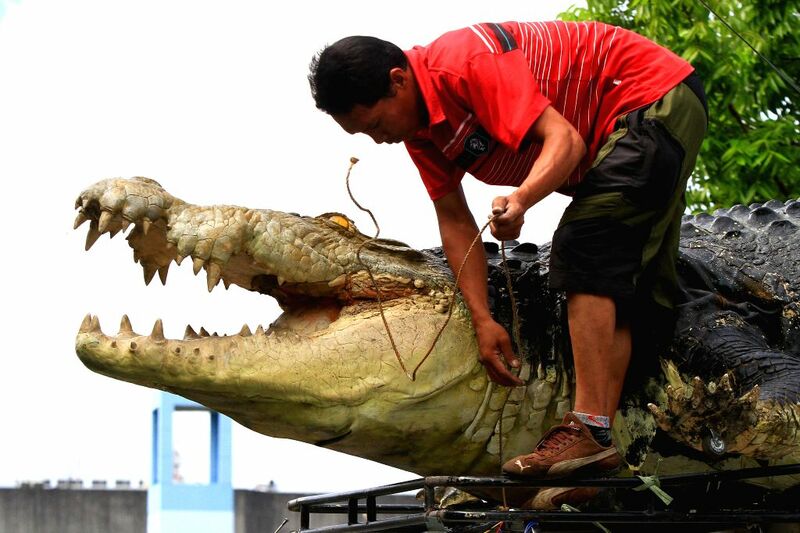 A worker unloads "Longlong", a 21-foot robot crocodile from a truck at the Crocodile Park in Pasay City, the Philippines, July 5, 2014.